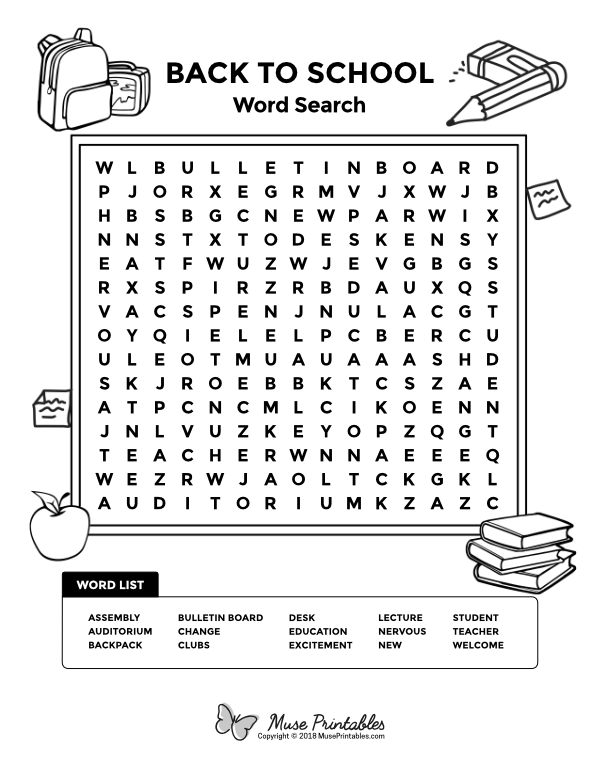 This puzzle features words related to back to school. Find and circle the words in the list. Words may be found diagonally, horizontally, and vertically. Download the solution to check your answers.